Limit 1 per person. Valid on 4-wheel alignment, suspension check and tire check. Valid on cars and light trucks. By appointment only. Promotional value expires 90 days after purchase. Advertising solicitation prohibited. 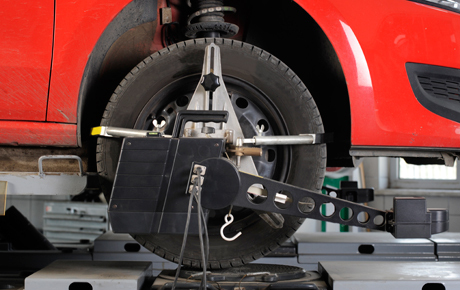 Steer in the right direction with this deal for 50% off a computerized 4-wheel alignment service from De-Denter Shop, Inc. in Milton ($70 value). This offer includes a check of all suspension components, tire condition and tire pressure. In business for 16 years, De-Denter Shop is one of the few auto repair shops in the area that does both alignments and collision repair. Owner Ted has more than 30 years of experience in the industry, and uses his industry knowledge to create a positive customer experience. The staff pays close attention to detail and makes an extra effort to provide helpful, personalized service. They pride themselves on being a dependable repair shop that does the work necessary for your car's health.